The only thing to fear is fear itself. And cars. Director: Richard Brandes / Writers: Diana Dionol-Valcroze, Arthur Flam & Richard Brandes / Cast: Rachel Miner, Mimi Rogers, Chad Todhunter, Liz Davies, Mickey Jones, Tammy Filor, Michael Berryman. What’s worse? Being stuck in your car for hours on end, say, in a traffic jam or waiting for someone… Or watching a film about someone stuck in a car for hours on end? Possibly watching the latter during the former. 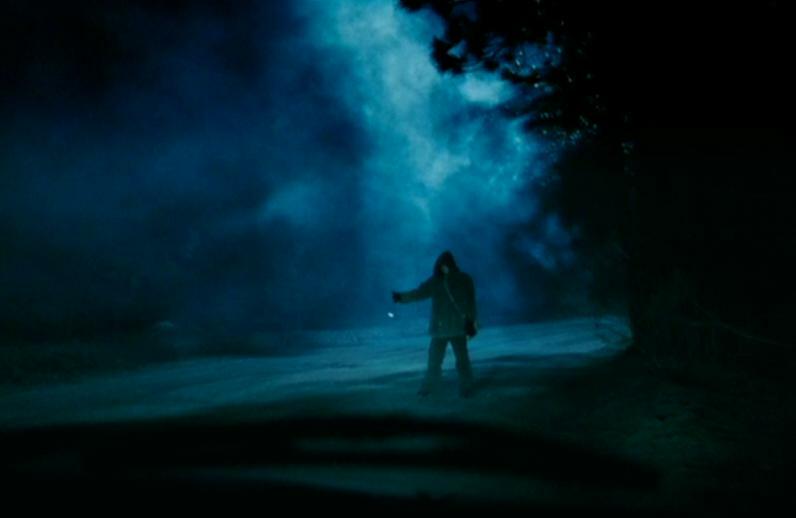 Arguably, ‘real’ horror is found in inescapable situations rather than being chased through the woods by Jason, such is the objective of this choppy flick which, along with Dark Ride, was part of the 2007 ‘After Dark Horrorfest’. Although, Lake Dead was also featured in one of those and look how that turned out. Ex-wife of Macaulay Culkin Miner does well with her character Penny, who has amaxophobia, a fear of cars, hereafter to be known as car-ophobia because it makes more sense to me. She picked this up by surviving the traffic accident that killed her parents some years earlier. 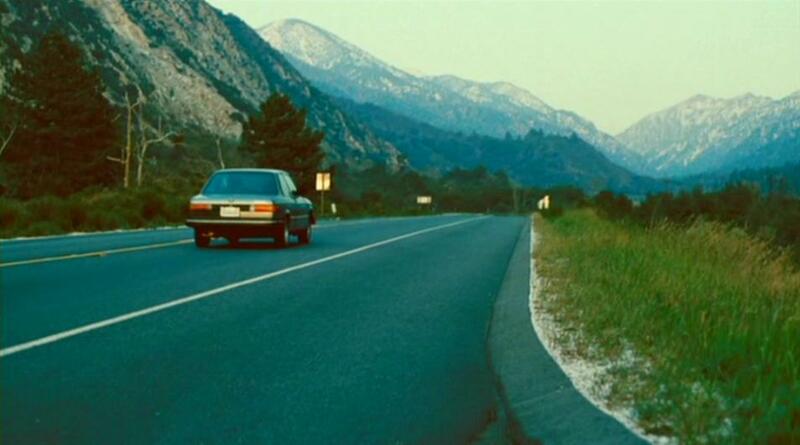 Her therapist Orianna (Rogers) is intent on helping her past the problem by driving her out to the mountains where she and her folks were headed before. Two women driving into the wilderness is a new and refreshing opus, isn’t it? Orianna heads off to find better phone reception, leaving Penny alone in the car. The car she has car-ophobia of. In the woods. In the dark. 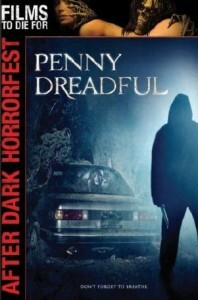 Penny freaks out and goes to look for Orianna but instead encounters the creepy hitcher and knocks herself unconscious fleeing from him. She wakes up later to find herself back in the car with Orianna’s dead body and discovers the car has been wedged tightly between two trees: the doors won’t open, the glass won’t break, the keys are AWOL. Claustro-amaxo-car-ophobia panic ensues as the options are struck off one by one and some extra victims are provided by a couple of forest workers and the woman one of them is secretly shagging – but it’s all about Penny and the car. Given the lack of space allocated to the set, things begin to get as boring as being sat in a car for hours on end would be as time grinds on. Yeah, so there’s a throat slashing every now and then and the killer returns to torment Penny and cuts off her toe but I soon find myself obliviously doodling the word ‘boring’ on my notepad as the seconds on the DVD display seemed to tick-tock over at an ever-decreasing speed. The eventual outcome of things houses a twist that the producers probably thought would provide an astounded ‘oooh’ from the audience is simply too little too late. This sliding scale into disappointment like an hourglass of gloom steals a lot from this sometimes atmospheric chiller, which would’ve been far better as a 45-minute late night TV special, proving there’s only so much you can do with a girl stuck in a car. So the title is an open-invitation for ridicule but Penny Dreadful is good (enough) once. 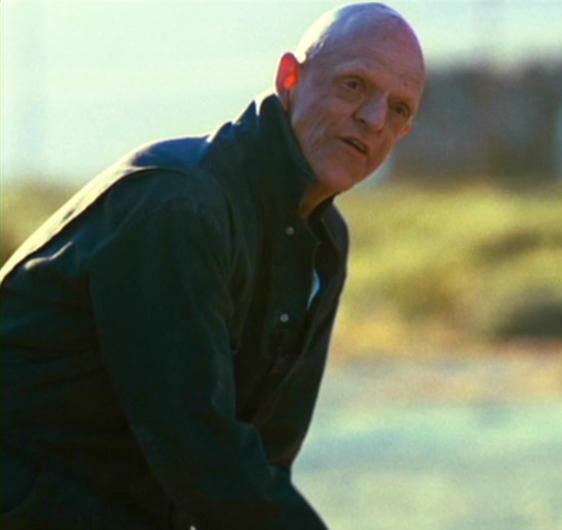 Italics should be strictly observed in that sentence: you won’t want to watch this twice, even if Michael Berryman appears as the chirpy gas station attendant. Blurbs-of-interest: If you don’t know that Berryman was in both of Craven’s Hills Have Eyes films then slap yourself upside yo head now. Not knowing he was also in Deadly Blessing and, more recently, Mask Maker, is forgivable.